I think cross clan cats are inevitable no matter what, and that basically all the clans have at least some clan mixing. Honestly given that so many cats in the clans are fairly closely related the clan crossing thing is probably for the best even if the cats don't always think so. I mean sure, it annoys the fandom, but there really isn't anything that can be done about it, not unless you go and rewrite the entire series. I do surrender, I'm being a bit too demanding. I did give up on genetics late in the New Prophecy. (the primary reason I didn't catch onto the Po3 plot twist) Maybe half-Clan relationships are for the good of the series, but I don't think so from a non-genetical point of view. The Erins obviously didn't care about genetics. I'm not meaning to bash them or attack you guys for looking at it from a genetic standpoint, but you still need to accept that the Erins don't worry terribly that much about genes. I don't actually care about genetics or anything of the sort. It is what it is, and with a series this large and so many characters, something's bound to get skewed sooner or later. It's not anything that can be taken back now, so it is what it is. Anyhow I guess storywise, "forbidden relationships" has been done to death so yeah I can see that side of it. It's a reference to the Magical Turnabout, actually! When you perceive Bonny de Famme, you find out she made the mistake of making ventriloquy puppet Mr. Hat go to the right when he was supposed to be on the other side of the coffin where Trucy was to do a teleportation trick. If it wasn't for her quick thinking, Trucy would've poofed up at the other side and ruined the show. It's in a multiple choice question where Bonny confesses she made a mistake but doesn't disclose what exactly she goofed, and you can also choose she messed up switching the swords and her life choices. When you do revisualisation in the trial, Apollo realises that if the prank script that they planned to do happened, the murder would be done without fail and so no evidence could be left behind. But when you notice that Bonny's mistake wasn't in the script, you have to say what was the exact mistake, between "Mr. Hat's positioning" (the correct answer) "Stage Lift Preparation" and "Her life choices". For some reason SoJ is really biased towards Bonny. I liked her, dammit! Yeah, the interClan relationships are done to death. I would like them if they were done differently, but no, there's utterly no difference in each and every relationship. A few examples are Yellowfang's Secret, the second half of the New Prophecy and Forest of Secrets. I've never had any problem with mixed ancestry, and honestly don't understand why anyone would. There's no such things as 'pure' any clan, because the clans aren't some eternal thing, they were just started one day. 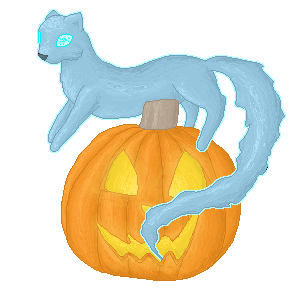 Do we count descendants of Blue Whisker (Moth Flight's ThunderClan daughter) to be not 'pure' TC? Even though Blue Whisker was one of the earliest ThunderClan cats? What about Thunderstar himself? He doesn't have TC blood because there was no ThunderClan when he was born. It's all just splitting hairs. I doubt there are any cats alive who can only count original members of their Clans as ancestors.